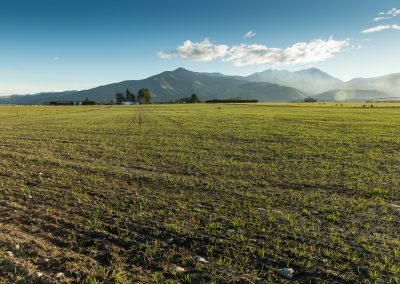 Grant and Jan farm near Mayfield in Mid Canterbury, an area deemed a ‘red zone’ by Environment Canterbury. The couple are required to reduce their nitrogen (N) loss by 15 per cent by 2025 and 36 per cent by 2035. 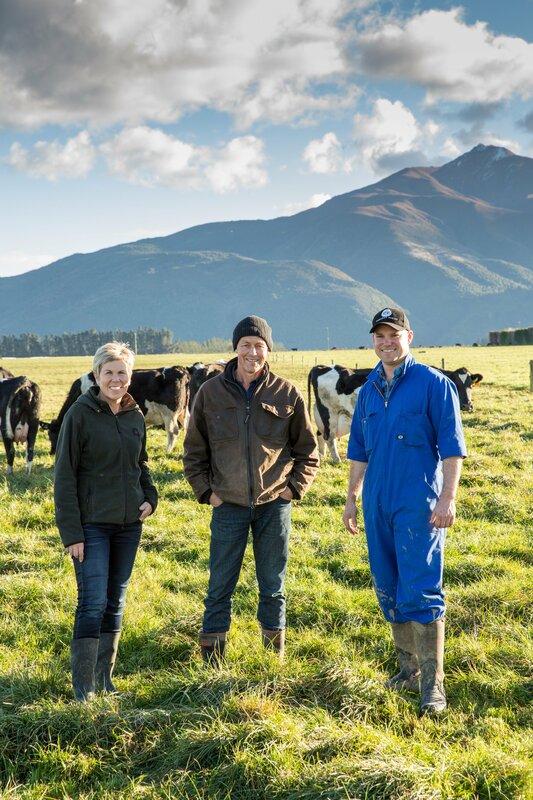 Led by DairyNZ, Forages for Reduced Nitrate Leaching (FRNL) has focused on finding plants that better utilise N within the soil and reduce N when passing through the cow – all while maintaining or improving profitability. 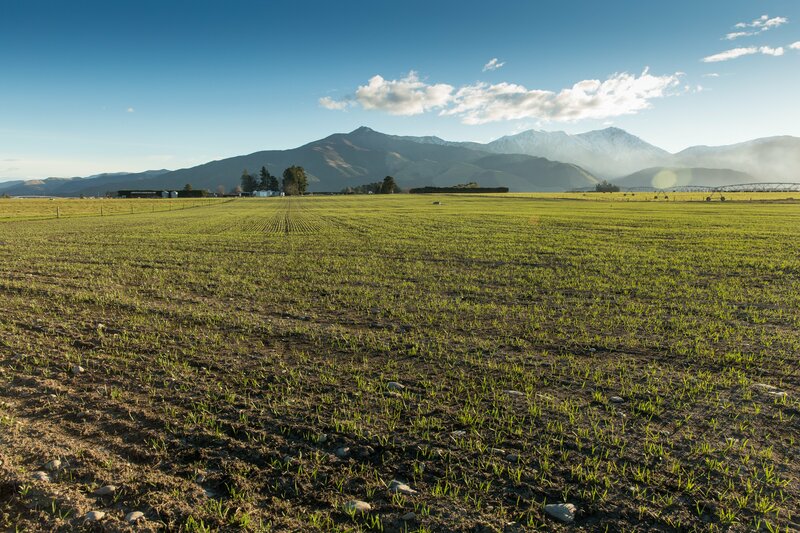 The six-year programme combines the expertise and resources of DairyNZ, AgResearch, Plant and Food Research, Lincoln University, Foundation for Arable Research and Landcare Research. The main funder is the Ministry of Business, Innovation and Employment. 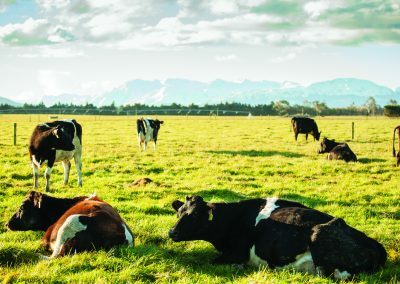 A network of monitor farms has been established in Canterbury, including dairy, arable, sheep and beef and mixed arable and dairy properties, as a way to implement some of the promising science and research on a commercial scale. 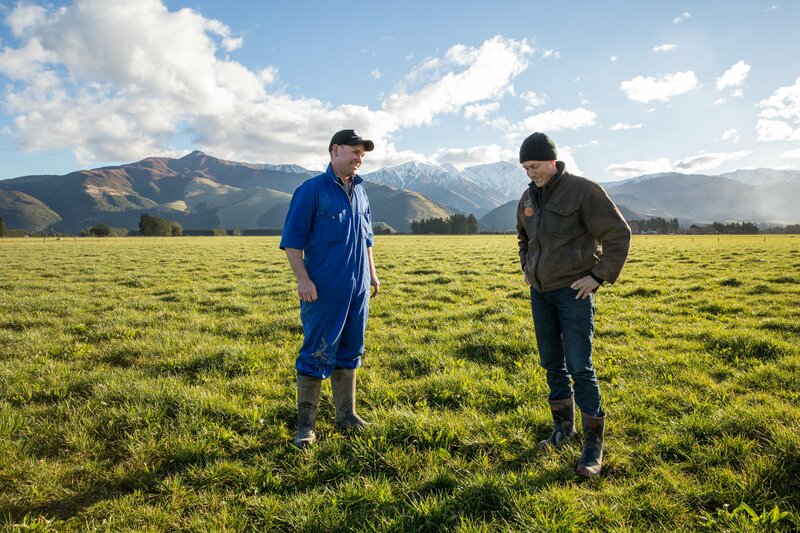 For Jan and Grant that’s meant trying a range of options, including adding plantain to their pasture mixes; growing fodder beet on the platform followed by a catch crop of oats; and reducing their stocking rate. Science shows that cows eating plantain excrete urine with a lower N concentration than when they’re eating the regular perennial ryegrass/white clover pastures. Also, plantain better captures nitrogen in the soil. Trial work suggests it needs to be at least 25 per cent of a cow’s diet to be of significant benefit. Contract milker Will Burrett is learning to manage plantain, including how to accurately measure its dry matter. “Plantain measures differently to grass on the rising plate meter, especially with greater than 30 per cent sward composition,” says Will. Science suggests the benefits of fodder beet in reducing nitrogen leaching outweighs the higher stocking density. This year the Earlys planted a catch crop of green feed oats after the platform of fodder beet in a bid to use nitrogen in the soil rather than allowing it to leach out in winter and early spring rain events. “If you just left it fallow for the winter then it’s a prime target for leaching,” Jan says. 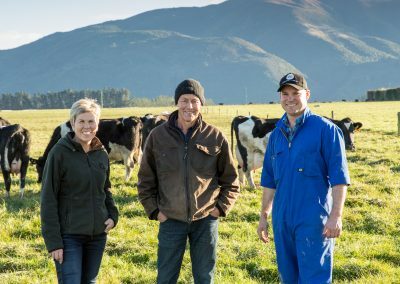 The Earlys have also reduced cow numbers from 1470 three years ago to 1400 now, looking for efficiencies to improve profitability while reducing nitrogen losses. 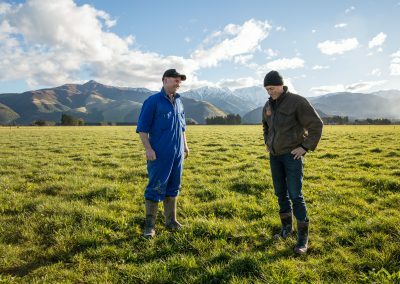 “If you can get a better understanding through the FRNL programme that a different crop or pasture species, a different fertiliser strategy or improved animal genetics will convert dry matter into milk more efficiently with less environmental impact, this will be of benefit to the industry’s longevity,” says Will. “Understanding all the little bits that go into every single day’s management decisions creates a clearer picture in order for us to improve our performance economically and environmentally,” Grant says. Will says he doesn’t find the extra work collecting data onerous. 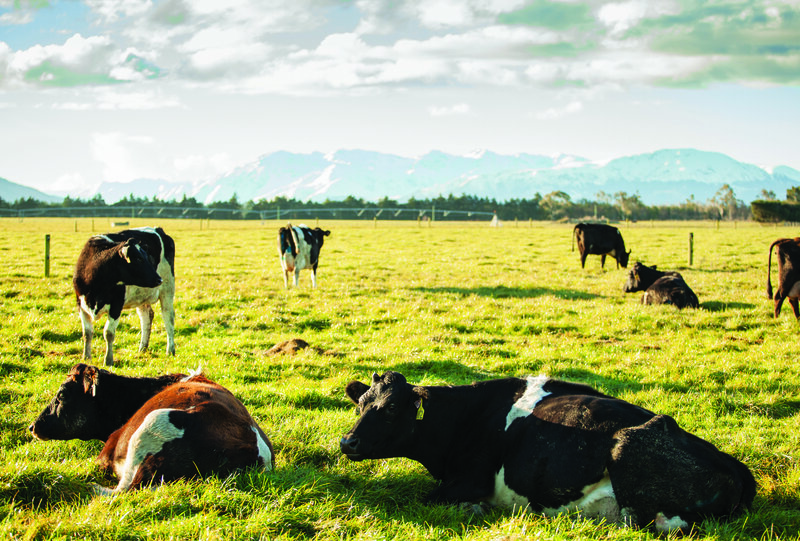 Additional information includes soils tests and monthly tests of pasture swards and supplements, along with independent body condition scoring of cows at dry off and when returning to platform from the wintering block. 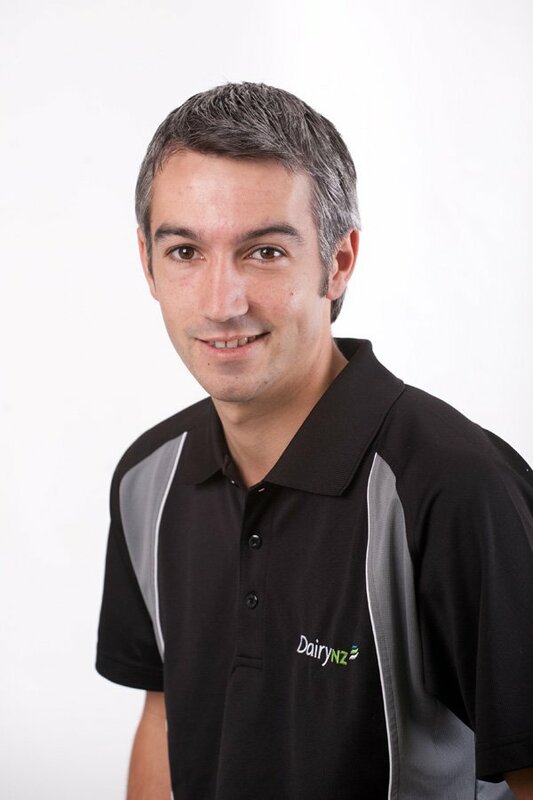 Will and the Earlys work closely with DairyNZ scientist Paul Edwards who makes monthly visits to the farm to ensure data quality, capture management decisions and provide support. “Paul’s put a lot of time into designing the data-input spreadsheet. It’s an Excel, form-based system with a lot of moving parts, designed to capture common information across multiple farms,” says Will. Four years into the programme, the farm has made an improvement to its N-loss figure (see table in gallery) and Jan says some of the lessons being learned are being picked up by other farmers. To learn more about FRNL and see reports from the monitor farms involved, go to dairynz.co.nz/frnl.